We are going to divide this Article into 2 parts. In part one we will discuss RAID levels from RAID 0 to 2. And we will discuss remaining levels in next article. 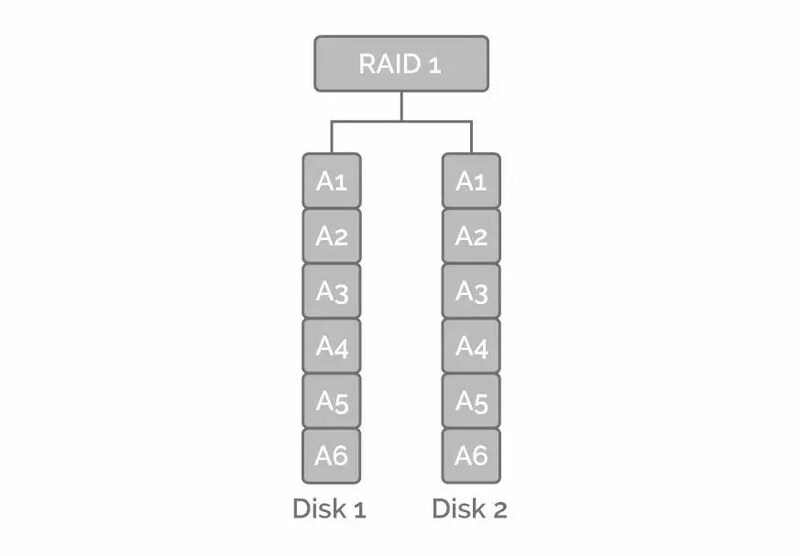 The RAID which stands for Redundant Array of Independent Disks or Redundant Array of Inexpensive Disks depending upon who you speaking to. 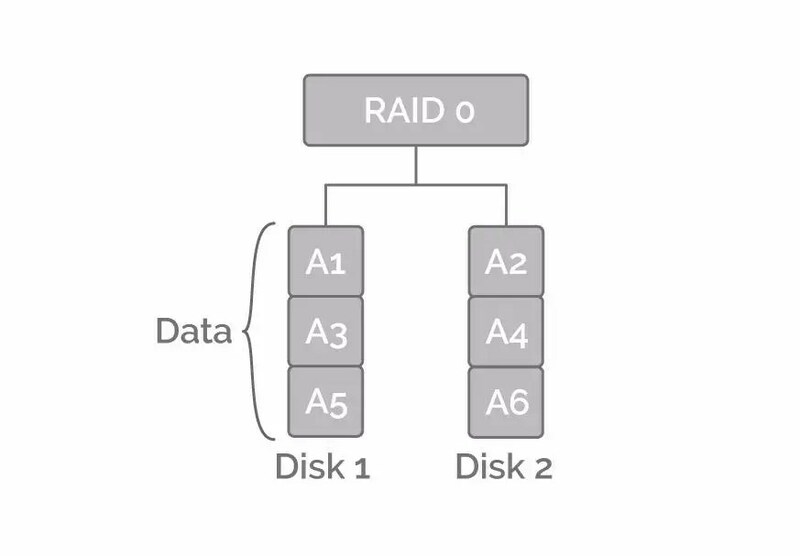 RAID allows you to have a group of physical disks provided so of as one logical disk on your system with having magic going on in the background. So you can have increased speed, Fault tolerance and you can also have Redundancy all that sort of stuff which is going on in the background. But you are only seeing one area at usable space in your operating system. There are several sets of configurations and levels in hardware and software based versions. Now today we are going to talk about those versions i.e. let’s talk about RAID levels: You can have RAID 0, 1,2,3,4,5,6,1+0 etc. Now 1+0 is a nested RAID level or hybrid RAID level. 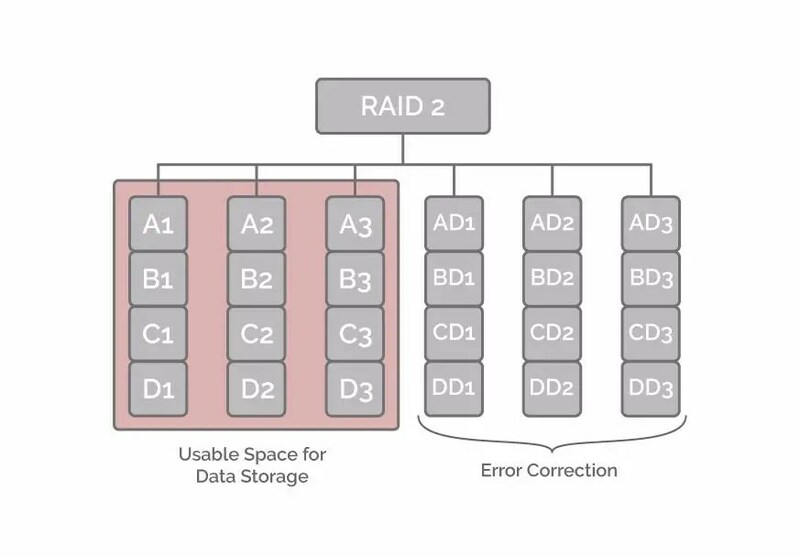 There is also RAID 100, 50, 51, 53 allotted them, but we are going to discuss only the basic ones from 0 to 6 and 1+0. Even then some of those are pretty obsolete now, but worth knowing anyway and the nested one’s are combinations anyway. So let’s get started with RAID 0. It uses a form of striping in 3 different versions that used are – Bit (Smallest) Striping, Byte Striping and Block Striping. Generally, it means its stripping space across multiple areas. So if you imagine that there are 2 physical hard disks and imagine that they are 1terabytes each and going on, they are all going to be each of 1 terabytes each. Imagine that the data is on it as A1, A2, A3, A4, A5, A6 etc. Imagine a table in excel spread across this disk, if you ask one person to write down A to Z then it will take some time. Now imagine that if you ask 2 persons to write down A to Z, but one person will write from A to M and another will write from N to Z then the time required to write A to Z will be less than the time required for a single person. That’s the advantage of having 2 disk jobs, you get faster write performance but if you want to queue one of those persons then if you queue the person writing A to M, then you will lose the alphabets and you will require alphabet. So if you take out one of these disks or if one disk dies then you lost your data because they are treated as one logical drive so you are not going to access your data; your data is gone. That is about RAID 0. So it is not ideal for a critical system. Now let’s discuss RAID 1. You can imagine that the data is on left-hand side disk i.e. Disk 1 which is from A1 to A6 on a terabyte hard disk and also this data is duplicated itself over to Disk 2 from A1 to A6. You must be wondering what it is, it means that you would not have space with your 2 terabytes in total. You only have 1 terabytes of usable space but you still have liability with Disk 2. If Disk 2 is to fail or die it could re control or move over to the working version and working with new hard drive and it could start duplicating itself again on to the new drive. So this is ideal for liability, performance won’t be affected because it is effectively moving to one of the two drives. But this is mainly designed for reliability. Now, let’s talk about RAID 2. It is a little bit more complex and it does require a minimum of 3 drives. Here we have 3 terabytes of usable storage or we have 3 different drives and the data is stored across them. The data is striped as a Bit (Smallest) level so that means the drives need to work in a certain way so that they have to work in a certain way for working together in the striping. You also have 3 dedicated drives for error correction. What does that mean? It means that when data is written, it will calculate the error correction code also known as Hamming code, then ECC and then would then write it to these disks. But when it comes to reading from the disks it would need to read the corresponding code and then if any adjustments are needed to make then it would do it easily. It will get that sequential read and write performance benefit by having these all working together. But it’s not available anymore, nobody uses it. It is now a very old obsolete solution. But we get 3 terabytes of usable space and 3 here, in this case, are dedicated to error correction.